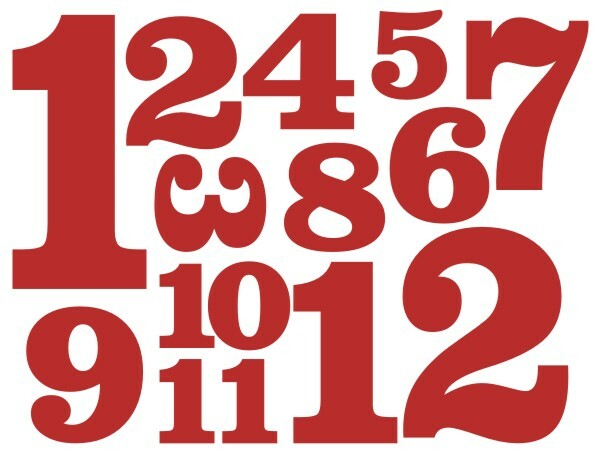 In honor of the holiday season, I want to share 12 Best practices from a variety of resources. Some are generic to all learning and development and some target specific areas. Please feel free to add your own Best Practices in the comments below. Delivered via a multi-media approach – using a blend of delivery methods to suit learning preferences and learner’s needs. Different media and types of training allow us to leverage different advantages. Bring together several strategies to create a well-rounded (like our friend Santa) approach. In total: high-impact L&D professionals need to continuously train themselves. In the modern world, things are always changing and if you want to continue to compete in the market place, learning and development programs need to be evolving to deal with an evolving workforce. Learning by doing and establishing shared accountability. It is important to bring learners into the process. Let them help determine training goals, learn by doing tasks, and encourage them to have accountability. Recognize the importance of veterans in your ranks. Our veteran employees represent a wealth of knowledge. It is key to leverage and capture that knowledge to pass on the newer employees to stay on a flight path of growing success. When creating blended learning, remember that research shows that 70 percent of learning occurs on the job, 20 percent from other people (social learning) and 10 percent from formal training classes. Keep this in mind when designing a blended learning program. Training should begin from the moment an employee is hired. You want to immerse them in the company culture and establish a culture of learning. Adult learners gravitate and retain learning that is relevant to their current situation. It is important to tie learning into current needs and make sure learners understand what is in it for them. When implementing gamification, a story context is a powerful motivator and gives the participant a reason to interact with your content. For Development: Code (or courses) should be written to be reviewed. If you are a developer, course and code should be written so that developers in the future can easily open up the course/code files and understand what is going on and be able to make revisions. When you deliver virtually, you lose the ability to communicate through body language. Therefore, you need to pump up the engagement. Incorporate activities that will require the learner to actively engage in the session. Use polls, ask questions, involve them in annotating solutions on whiteboard slides. When thinking about employees and their future, don’t just rely on past performance. You need to develop strategies for assessing their potential as well. Just because someone is an excellent salesperson, does not mean they will make an excellent sales manager. You need to determine where their potential lies. Performance Improvement: Training is not always the best solution. As learning and development professionals, we need to analyze a situation to determine the most effective solution. The best solution may be a job aid for a task that is complex and done infrequently, it may be a change to the environment that will resolve the issue or any of a number of performance improvement strategies. Don’t start with the assumption that you need to develop a training class and make sure you have selected the best solution to the problem. I wish you all a peaceful and blessed season as you celebrate life, love, and family! I recently had an experience where a participant in one of my training sessions came to me during a break and handed me a piece of paper with tic marks on it for each time I said “uh” during the session. Inside I was feeling defensive and couldn’t help but notice this person using “uh” as he was explaining this was a pet peeve for him and that he had gone to special training to to improve his public speaking. But the reality is, that each time a person finds fault and they tell you, it is a gift and an opportunity to become better. Hear what the person is pointing out, not the tone or the presentation. When we get caught up in how someone says something, we are more likely to get defensive. Take a deep breath and choose not to get mad. Asses what they are saying for truth. Think about the content and find the truth in it. In my example, I presenting round-table and sitting with all the participants and had allowed my language to be more lax. Determine what you need to change to improve for the future. Outline steps you can take to make a change and improve your work, or in this case my delivery style. This particular thing was something I had addressed earlier in my career and recorded presentations so that I could hear myself and become more self-aware. Implement your improvement plan. Take action to resolve the issue or build up your skills and abilities. Evaluate the improvement. Always look back to see the improvement. Ideally, if the person who originally brought it up can give you another honest assessment, ask them. This makes sure that person knows you heard them and care about what they said and took action. Growth and improvement is key to building our career and our self as a person and other people around us are our best source of information for areas where we can improve. The next time someone points something out to you, don’t get mad…GET BETTER!